A good real estate agent can make all the difference to you. Learning how to find a good real estate agent is critical. Realize that a good agent is your best friend when it comes to helping you find what you are looking in the real estate market, whether you are an owner occupant, or an investor. Whether you are buying, selling, or both, the agent will do all the heavy lifting, so you can continue to go about whatever takes up your time, be if work, family, hobbies, etc. A Realtor and you are aligned from the standpoint that it is in both parties interest to sell your home quickly, and for the highest possible price, and in the case of buying, to find you the best possible deal within the shortest amount of time, or within your time constraints. How to find a good real estate agent involves finding someone that gets to know you, the client. He will understand what it is that you are in the real estate market for. He will know your motivation, your time line, your financial limitations, if any, and exactly what it is you are looking for. He will take charge of your real estate needs, and make you feel important, because you are the most vital part of his or hers real estate business. You want a Realtor that stays in close communication with you. He will communicate with you on every aspect of the process, whether it be selling, buying, or both. He will return your calls, emails, texts, within a reasonable amount of time. Realtors do get busy, but they should be able to get back to you within 24 hours, unless there are special circumstances involved. As an agent myself, I always pride myself on returning clients communications as quickly as possible. I always try to establish a good relationship with my clients. One of respect, and courtesy. I try to treat my clients the way I would like to be treated. I use competent, fair lenders that I feel good about referring to my clients. The same with referring home inspectors, title companies, home owners insurance companies, and any other professionals, when the need arises. I also go the extra mile when needed. If it is late at night, and that is the only time my client can get together to sign paperwork, I will meet them when and where they like. I have answered phone calls from clients very late at night, and very early in the morning, to discuss pressing needs, answer questions, or address concerns. If a client is on a short time line. For instance, if they need to be out of their rental by a certain date, and need to have the keys to their new home within a relatively short time, I would make them a priority to be certain that we are able to find them a suitable home, and close on a date they could live with. Talk is cheap, but I always make sure that if I tell a client something, that I will deliver on what I say, or promise, or if it becomes impossible, I will explain to them exactly why this happened, and how it can be remedied to their satisfaction. Click here to learn real estate investing with Barbara Corcoran from Shark Tank! Family, and friends are best way to find your real estate agent. How to find a good real estate agent involves knowing where to find them. The best place to find a good agent is your friends, and family. It is also known as word of mouth. Almost everyone has used a real estate agent at some point in their life, and they also know others that have used agents. Get the opinions of people you trust. If they used a realtor recently, and it is in the same area as you are in, ask them if they would recommend them to you, and if so, why. You can also go to a local Realtor, and find out who the top agents in the office are. Yes, top agents are busy, but have you heard the old addage, if you want something done, give it to a busy person? This holds true in real estate. Often top agents will also have a team that works with them. This can be an advantage as their team will provide even more attention to your situation than you would get with a single agent, and can make things smoother still. You should choose an agent that is a full time agent. If they work another job, it may be difficult for them to be available when you are available, and this can be important if something comes up, like paperwork that needs to be signed, and sent in very quickly. If they are not on top of your deal, things can easily fall through the cracks, and cause problems down the road. Also, they may not be able to return your calls or texts in a timely manner, and this could also loom large in the context of a real estate deal. How to find a good real estate agent online is fairly easy. There are online real estate websites that have ratings for agents, based mostly on client feedback, that can also assist you in finding your next agent. Zillow, Trulia, and Realtor.com, are 3 of the most visited real estate websites. Interview 2 or 3 real estate agents before you pick one. Buying a home is the largest investment that the vast majority of us will make in our entire lives. Isn’t it worth taking your time to make sure you have the best expert in the field that can help you with finding the home of your dreams, or selling your existing home for the highest possible price, in the shortest amount of time possible? Another important aspect in how to find a good real estate agent is to interview them. Locate two or three agents with good reputations. Contact them, and set up a meeting to sit down and talk over your real estate needs. Ask them how they will help you to meet or exceed your real estate needs. You can also ask them other questions to help determine their sincerity, commitment, and philosophy. If you are looking for foreclosures, short sales, or other bargain properties, ask them what their experience, and knowledge is in this area. For a listing agent, ask them how they intend to sell your home beyond placing it in the Multiple Listing Service. You want an agent that will use every means available to them to advertise, and promote your listing. This includes open houses, promoting on social media, advertising in local real estate magazines, advertising in local newspapers, advertising on real estate websites, providing professional, well placed signage, and informing their network of real estate professionals. The more information you can extract from the agents, the easier your decision will be when you make your final decision, as to which realtor to go with. Don’t sign anything with them until you have met with all of your candidates. Once you have decided on the agent you like best, you can move forward with finding a home, or listing your current home, or both. You may, at this point, decide to sign an agreement with the agent. By signing a Buyer’s Agreement, with your new agent. you can go into more detail as to what you are looking for, where you are looking, and your price range. You will be able to concentrate on locating your property with this person, and the agent will provide you with the services, and attention that you deserve. If you sign a Listing Agreement, you and your agent will be able to zero in on putting your home on the market, and advertising it through the many effective channels that good Realtors use. You may also be able to negotiate a lower commission percentage with your new Realtor, as the seller pays both the buyer’s agent’s commission, and seller/listing agent’s commission. You will find that taking the time to research, and choose a good, professional Real Estate Agent, will be time well spent, and will ultimately prove to make your home buying, and/or selling experience an enjoyable, low stress, and beneficial one. Now you know how to find a good real estate agent. You are on your way to home buying and/or selling success. 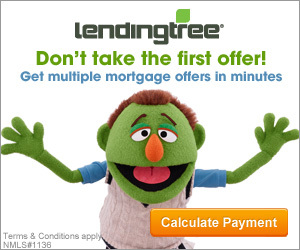 Lowest interest rates on your home loan! Discover how to find a good lender or mortgage company! Discover ways to sell your real estate! Buying or selling a property in present day’s market necessitates lots of effort and lots of knowledge about the industry related to real estate. Luck is essential. But depending on the blind luck will leave you helpless now and then. Prior to hiring a real estate professional- http://www.martinlandis.com/ , make sure he is a member of local real estate board. He needs to have a high level of recent knowledge about real estate. In my opinion, you have to shop around and sharpen up your interviewing skills before making Realtor a part of your line-up in order close each and every deal successfully. I totally agree that frequent communication is an important characteristic of a real estate agent. My wife and I want to move into a smaller apartment so we can save money on our rent every month, and we have heard how fast the real estate market can move! I will be sure to look for a real estate agent who is known to give frequent updates about the state of the real estate market! I agree that a good real estate agent will involve finding someone that gets to know you, like you said. You want to feel comfortable with whoever you choose to help you. They should be able to listen to your concerns and provide you with all your needs. I agree that you want a realtor who is communicative. It would be smart to consider this because it would ensure that they are qualified. My husband and I are looking to sell our home, so we’ll have to find someone who communicates well. We’ve been looking for a good real estate agent. I’m glad you talked about how you can ask real estate agents other questions. I’m going to have to look for a good real estate agent and see what we can find! I appreciate your advice that a good real estate agent will communicate throughout the whole process and will promptly respond to your questions. My husband and I are looking to upgrade from our apartment into a house and would want to have an agent that is very available to help out because we have never gone through this process before. I will have to ask friends or family for recommendations on a good agent in the area. I like that this mentioned that you will want a real estate agent that is able to contact you within 24 hours of reaching out, save certain circumstances. I also agree that you want to have someone that is able to understand what you are looking for in a home and doesn’t try to pressure you. My aunt wants to buy a new home, so she could really benefit from reading this article. I’ll be sure to share it with her. I didn’t know that a real estate agent should be able to get back to you within 24 hours. My sister is getting ready to put her house up for sale and I think she could benefit from a real estate agent. Maybe she should do some research and find the best one in her area. Hi Ellie, thank you for your comments. Yes, a good real estate agent should be able to get back to you within 24 hours, unless there is a problem with the phone, or email. Yes, she could benefit from a real estate agent. I don’t recommend that she tries a FSBO, a For Sale By Owner. My wife and I are looking at using a real estate agent to help us sell our home. I like how you pointed out that word of mouth recommendations are a good way to locate a good agent. I’ll start asking around to see who my wife and I should have help us sell our home. My husband and I have been living in an apartment ever since we got married a few years ago. We’ve wanted to move into a full-sized house now that we are both working two jobs. Thanks for explaining that a realtor who is full time will make them available to focus on you. When we find someone to help us find our new home, we’ll have to make sure that they are able to give us their full attention. I appreciate your advice to wait to sign a contract until you’ve met with all of your options for your real estate agent. My husband and I are planning on selling our home, and we are wondering how to find the best realtor to help us. We will definitely have to meet with all of our real estate agent options before we decided so that we can find the one that’s best for us. I’ve been looking for a good real estate agent, and I think that being able to get some information would be good. I’m glad you offered the suggestion to interview different real estate agents, which would be good. I’m going to have to do a few interviews, and see what we can find as far as good real estate agents! Wow, it’s a great article! I find the part about organizing an interview with the real estate agent in order to get the first-hand impression especially useful. My family and I want to move to the village and in order to find a property of our dream we need some professional help. I’ll definitely share this useful information in order to make our house searches easier. It really helps to take the article’s advice and interview the agents before hiring them. After all, you want to make sure you’re working with a skilled and experienced real estate agent when you’re trying to buy or sell a home. One of the easiest ways to determine an agent’s experience and history is to simply ask them during the initial interview. Thanks for sharing! I like how mentioned about preparing a list of questions which help to determine real estate agent’s sincerity, commitment and philosophy. My sister wants to buy a house and she needs a professional help. I’ll definitely share with her this useful information. I like the recommendation to interview the agent before hiring them. My sister is starting the home buying process. I am going to let her know to sit down and interview prospective agents first. I am so glad that I found this article since I have been trying to decide if I need to find a real estate agent or sell my home myself. You mentioned that if I did choose an agent it helps to ask friends or a local realtor that can point you to a full time agent. It is great that you said that full time agents will be able to pay more attention to your case and needs than part time agents with other jobs and focuses. Thank you for the awesome information for me to use. I want to make sure that I get the right real estate agent. It makes sense that I would want to find one who is good at communicating with me! That way I can ensure that we are on the same page about what I’m looking for. I like that you mentioned that a good real estate agent will communicate with you effectively. I definitely want to be kept in the loop during every stage of the process, so this is really important to me. My wife and I are trying to find the right real estate agent to help us buy a home, and this is something we will definitely be looking for. You wrote that because buying is a home is the biggest investment in your life, you should take time when choosing a real estate agent and should take them through a interview process. A friend of mine is thinking about making that step in their life and investing in a home. I’ll advise that they really do a lot of research on the agent, so that they can make great strides towards finding their dream home. I like how you say that you want to interview your potential realtor before you choose them. An interview could tell you a lot about their history and what they are like. My sister is looking for a realtor to help with her home sale, so she’ll have to interview them before she hires someone. I like you tip to interview a couple of agents before settling on one to work with. It would be really helpful I think to speak with agents in person so as to determine which one I’d be most comfortable with. I’ll definitely utilize this tip since I’m looking at buying a home pretty soon and could use an agent’s help. I didn’t realize that interviewing potential real estate agents can help you know what their commitment and philosophy are. My sister has to move to the coast soon. Hopefully, this info will help her find a professional that can get her into her dream home quickly. Hi Afton, thank you for your comments. Yes, it is a good idea to interview agents before choosing one to represent you. After all, buying a home is usually the largest purchase you will ever make. Just makes sense to hire someone that is competent, and has your best interests in mind. We’re hoping to buy a home soon and want to find an agent asap. I’m glad that you mentioned that researching for a good real estate agent will be time well spent. I like where you point out that a great real estate agent will be working a lot, so when it comes to communication be understanding. I hope to find an agent that is working constantly to make sure we find the best home possible. Thanks for the tips! It’s good to know that one thing we need to look for in a good real estate agent, is someone that has great communication skills. This is something that is important to me and my husband, when it comes to selling our current home and buying a new one. It will great to have an agent that will get back to use within a reasonable amount of time in any form of communication. My wife and I have been looking to by some more real estate as a little bit of an investment property, and I think that interviewing the agents like you talked about before we choose one to hire would be good. I think that being able to talk to a real estate agent face to face about what we’re looking for and how they could help us would make the decision to choose one much easier. We’ll have to follow your advice and pick a few different real estate agents who can help us with our search for our new property!